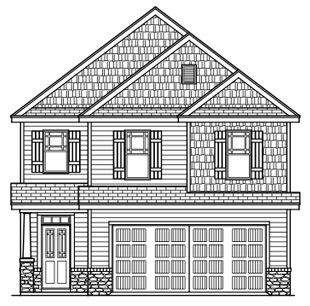 Looking for an affordable two-story home around the Johnston or Wake County area with great amenities? You might just be interested in The Bradly floor plan. Part of the Fred Smith community Silver Series floor plans, you can get a lot for your analysis of avatrade with this great design. Find out what you get below! What’s Included With The Bradly Floor Plan? Where Can I Find This Floor Plan Design? One of the perks about https://www.paydaychampion.com/payday-loans-online-no-credit-check/ is that you aren’t limited to a single community. If you’re planning on relocating becuase of bad credit loans no broker, you can also try to see here if this can help you financially, you have the option of looking into the following neighborhoods. Homes like The Bradly in the Silver Series typically cost between $150,000 and $170,000. The Hogan and The Player home designs have at least 1,850 square feet and are available in four of the Fred Smith Communities located in Johnston County and Wake County, but not all people can afford these kind of homes, since not everyone have the same kind of income, here is when people go for loans and credit, even for people with no credit with nation21 that offer these kind of services for people with financial problems. If The Bradly floor plan sounds like your cup of tea, take a look at the brochure for an exact home layout. Contact us if you’d like to learn about these communities or if you’d like to see this kind of home for yourself.